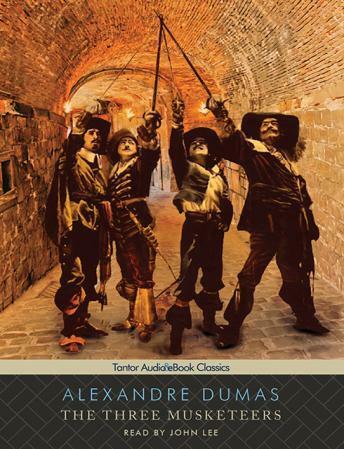 Mixing a bit of seventeenth-century French history with a great deal of invention, Alexandre Dumas tells the tale of young D'Artagnan and his musketeer comrades, Porthos, Athos, and Aramis. Together they fight to foil the schemes of the brilliant, dangerous Cardinal Richelieu, who pretends to support the king while plotting to advance his own power. Bursting with swirling swordplay, swooning romance, and unforgettable figures-including the seductively beautiful but deadly femme fatale, Milady, and D'Artagnan's equally beautiful love, Madame Bonacieux-The Three Musketeers continues, after a century and a half of continuous publication, to define the genre of swashbuckling romance and historical adventure.